daily timewaster: Is that Matt Damon, stranded by himself on another planet? Is that Matt Damon, stranded by himself on another planet? Is that an illustration for Hal Clement's "Mission of Gravity"? 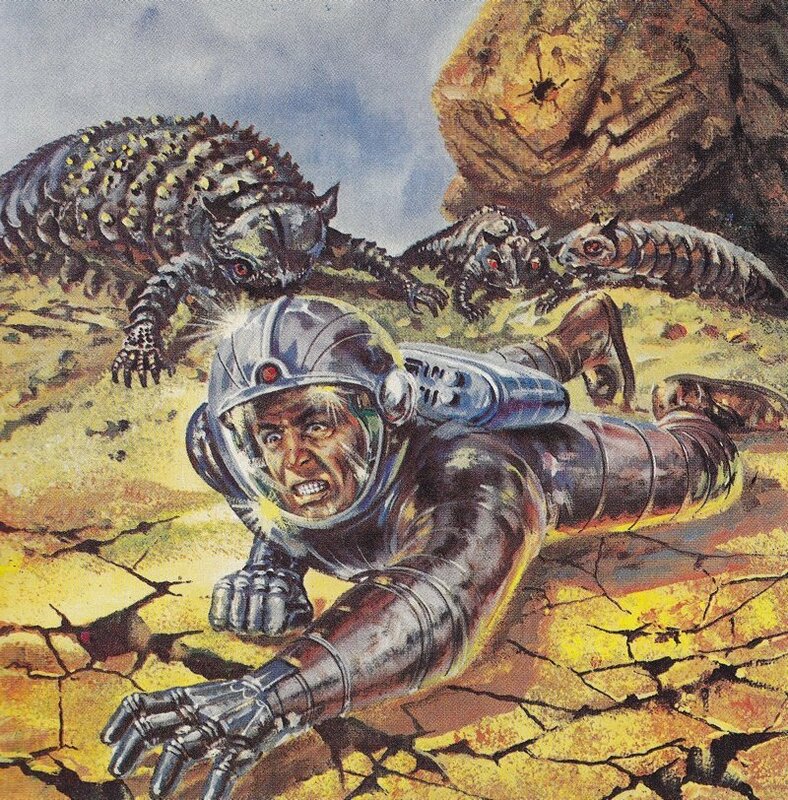 Where I found it it said "Johnny Bruck cover art for the Perry Rhodan novel Die Wüste der strahlenden Steine, no. 377, 1968." Man, I loved Perry Rhodan books back in 6th-7th grades. It's been a long time since I've thought of them and decades since seeing any mention of them. Leave him there this time.